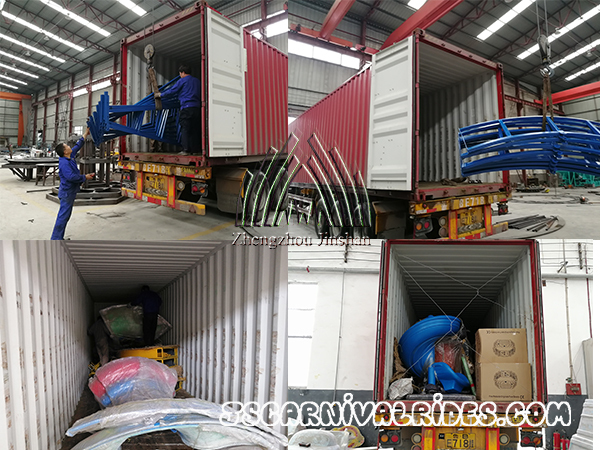 In April, the customer from Tanzania ordered some amusement park rides ,like the motor racing car , watermelon fruit flying chair, outdoor playground and Tomas mini train rides. In this month we finished the production and delivered the goods to the port. After loading all the equipment, the truck drove to the sea port.